Jak and Daxter. Uncharted. The Last of Us. One studio has been responsible for the most iconic video game experiences of this generation. Now, Dark Horse Books invites you on a thirty-year retrospective tour, observing Naughty Dog's rise from an ambitious upstart to one of the most influential game studios in the world! This beautifully designed volume collects decades of production art, introspective essays from studio staff, art inspired by Naughty Dog's incredible array of titles, and much more. 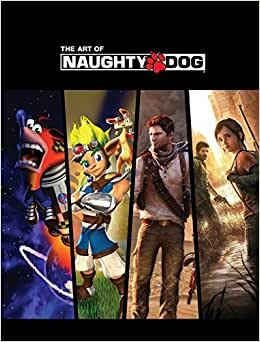 Don't miss out on an opportunity to own a piece of video game history with The Art of Naughty Dog! Although we at Naughty Dog sometimes claim to have started in 1984, we were just working on garage titles back then to be honest. Things really got started in 1994 when we began working on the inaugural title of what would become the wildly successful Crash Bandicoot franchise. We developed the four Crash titles--Crash Bandicoot, Crash Bandicoot 2: Cortex Strikes Back, Crash Bandicoot 3: Warped and Crash Team Racing--exclusively for the PS one game console. These four titles combined sold over 22 million copies worldwide and led to Naughty Dog being the most successful video game developer in the United States for that console generation. Naughty Dog became a wholly owned subsidiary of Sony Computer Entertainment, publishers of our Crash franchise and creators of the PlayStation family of consoles, in 2001. We then moved on from Crash and spent days, and occasionally nights, working on our next project: the first Jak and Daxter title. Jak & Daxter: The Precursor Legacy, came to life over a period of two years, although some of the Naughty Dog team had spent up to three years on the game by the time it was released. The author lives in Santa Monica, CA..